Have you read it yet? This is the question that popped back in 2005 when the founders Steve Huffman and Alexis Ohanian were sitting in their room at the hostel of University of Virginia. Little did they know then that the world shall be using this statement to refer one of the biggest online communities of all-time? Reddit is a content aggregator. Users can freely upload their articles, images and links directing to their content or their favourite website. They can also share their opinion over a piece of shared content by commenting and voting. The simplicity of the registration process that does not even require an email id has gained popularity amongst its users. This feature not only respects and maintains user privacy but also helps gain first hand user data. Being a content site, Reddit has paid special attention to the usage of user friendly terminologies to build engagement. ‘Redditors’ are the users on Reddit.com. ‘Subreddits’ are similar to playlist on YouTube. A user can create a subsection of individual topics on the website. ‘Reddiquette’ is a casual word for following the rules of engagement on Reddit set by the users themselves. ‘Give Gold’ is an expression to gift gold membership to an outstanding content provider. ‘NSFW’ is a term coined by Reddit for articles that are ‘Not Safe for Work’ or anyone around who shouldn’t see what you are up to. Reddit caters to a wide range of content especially music for which team Reddit decided to create individual yet unique music streaming properties. Alienstream, built on the same fundamentals of Reddit, to provide crowd-sourced content, gathers these musical contributions to be heard for free i.e. without any registration. Scrolldit.com is a multi-format supporting website. The layout is simple and based on the principles of Pinterest, wherein a structure of visually appealing grid of content provides a seamless user experience. 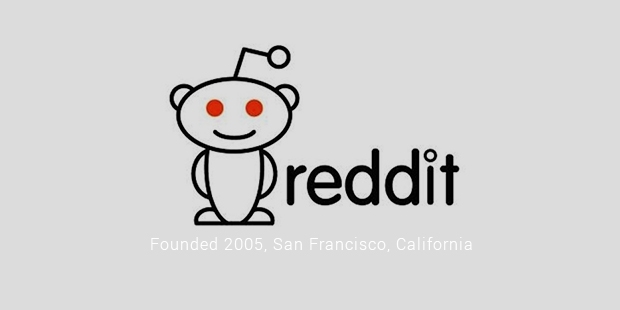 Unlike other content aggregators, Reddit also has AMA i.e. ‘Ask me anything’ section every now and then with celebrities. The most recent one or probably the most controversial, in a good way, was when Celebrity Chef Gordon Ramsay offered a job to a Redditor. Through a drift of conversations came around the question on ‘How to deal with stress as a Chef’ from a Chef boy toiling for hours behind the curtains, awaiting for a word of appreciation. Gordon could connect to his story and therefore offered him a job in one of his network restaurants. This took over the news by storm and the visits on Reddit games and reddit cars by large. So, apart from being a role model for the online community channels, and a must for organic content submission to raise your rank in ‘Search’, Reddit proves to be an inspiration to all in the parallel universe, we call social network.